Learn about our company and people. 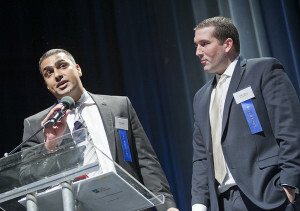 It started in 2004 when Pasha Bains and Chad Clifford brought together their shared dream to teach and help young basketball players achieve their goals. 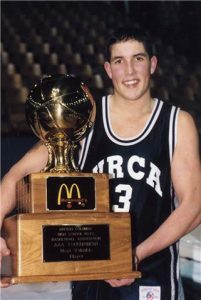 Both are former BC AAA High School MVP’s who went on to play NCAA Division 1 hoops before starting their own small basketball camps. When these two agreed to pour their passion into building a one-of-a-kind basketball academy that combined all the positive aspects of training, competition and sport, DRIVE happened. 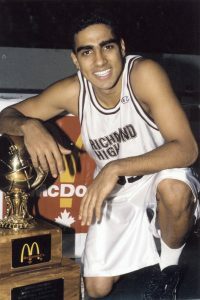 With the motto “Pursue your Passion”, a small collection of local players began to thrive under the inspirational coaching of Bains and Clifford. The goal was to have a successful basketball academy that provided different platforms for young people to improve. DRIVE’s success is the result of their commitment to quality, value and passion for excellence. Through the years, Pasha and Chad have continued to pour into the lives of a growing group of dedicated student athletes. A staff of qualified and enthusiastic DRIVE coaches has been added to meet the needs of the year-long basketball programs that are now being run. 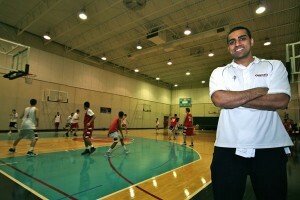 In 2009, DRIVE moved into the Richmond, BC training facility vacated by the former NBA Vancouver Grizzlies club. 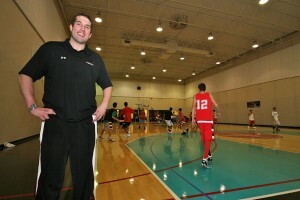 Early in 2012, Drive made a significant move into the Richmond Olympic Oval, a world-class sporting facility. Along with its stunning architecture and central location, the facility offers multiple full-courts that will allow for more DRIVE events such as tournaments and camps. What was once great has become even better, “a dream come true” according to Clifford, who likens the potential at the Oval to the numerous large-scale basketball academy facilities in the United States. From the beginning, there has been a clear focus on the DRIVE:mission – to deliver exceptional youth basketball instruction, while connecting, inspiring and instilling the confidence and knowledge for all participants to succeed on the basketball court and in life. Coaches Bains and Clifford and the Drive staff will continue to aim for success by: teaching life-skills; empowering youth; promoting physical activity and a healthy lifestyle; and strengthening communities – all through the platform of sports … just as they have done! Drive:basketball is the Lower Mainland’s premier basketball training ground for male and female athletes of all ages/abilities. Please read the paper that was written by Pasha Bains about DRIVE. The paper is entitled, “A comprehensive look at achievement goal theory and how it can be used to maximize the benefits of the DRIVE BC Basketball program.” You can read the full paper here.